Welcome to Bluffscape Amish Tours of Lanesboro, MN located in the beautiful Bluff Country of Southeast Minnesota! 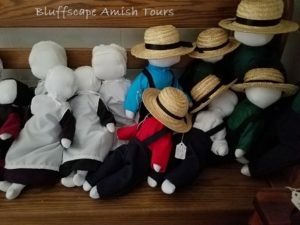 Please click the tabs above to learn more about Bluffscape Amish Tours. This is your chance to experience a unique Christian community life-style as you step back in time while munching on sweet, buttery cashew crunch made by the Amish which you may find in one of the Amish shops! Bringing your own bus to Lanesboro? We can provide a step-on tour guide for your Amish tour! Please call for details and lunch suggestions for your group. Bluffscape Amish Tour gift certificates make a memorable gift for Christmas, birthdays, anniversaries, or to say thanks. Please call or email to order your gift certificates. No tours on Sundays or religious holidays. Thursday, May 30 for Ascension Day.